For many retirees, trying to manage debt effectively is just as important as saving for the future retirement. Mismanaged debts can cause damage to one’s retirement fund. Debt consolidation is just one of the many different ways retirees can deal with a growing debt problem. The process basically involves taking a consolidation loan in order to pay off the other debts and leave a single loan with a single interest rate. Here are the advantages of debt consolidation in addressing your loan problem. With debt consolidation, you can deal with a single debt and pay for a single interest payment. Compare this with having to pay multiple debts and you can appreciate its convenience. 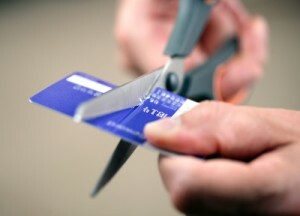 It can also reduce the stress that most people go through when they are dealing with multiple debts at the same time. Another important advantage of debt consolidation involves in making payments. People struggling with debt will be having more time to deal with a single consolidated loan. They can extend or change the payment terms for their advantage. With loan terms that can be negotiated from 10 to 30 years, people will have more than the time they need to repay the money owed on the loan. This way, debt consolidation lessens the stress of handling the debts. The most ideal advantage with the consolidation of debt is by lowering the interest rate of the consolidated loan than what was originally owed. The lower interest rates can bring down the amount people would otherwise pay for the loan or loans. This makes the consolidated loan quite easier to pay as well as manage. Compared to multiple loans scattered with different interest rates and payment dues, a single consolidated loan will be less of a hassle.